Introducing some great news for fans of Aspire’s Nautilus tanks. 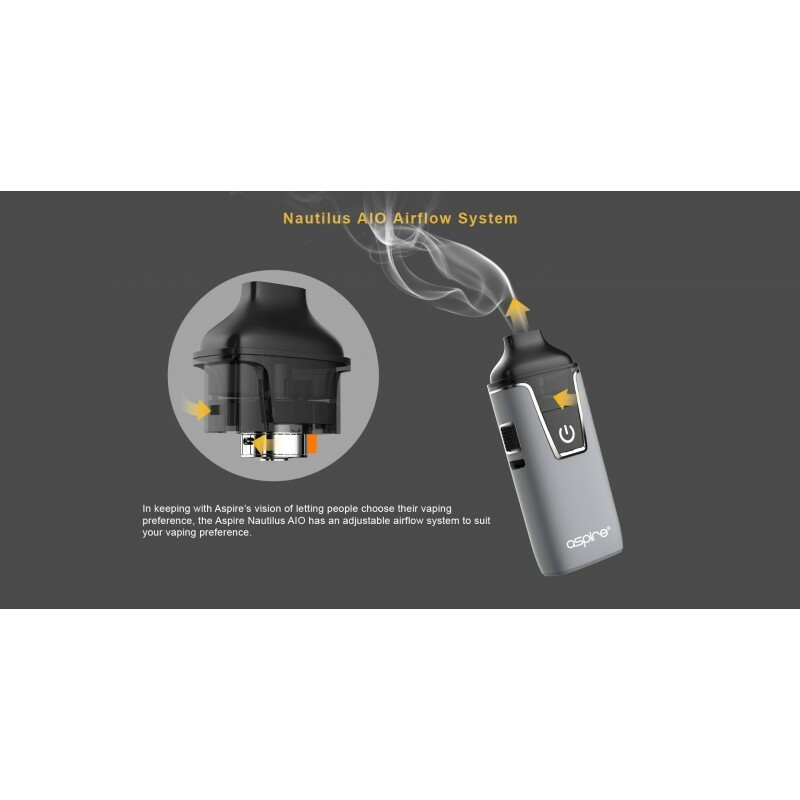 Aspire brings you the new Aspire Nautilus AIO pod system. Slim, stylish and in 6 popular, satin finish, colours: blue, jade, silver, black, red, and purple. 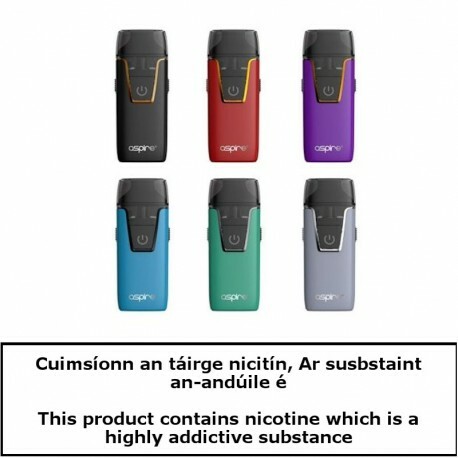 The Aspire Nautilus AIO has an easy to fill 2ml pod and fits comfortably in your hand, being very discreet. It uses Aspire’s famous Nautilus BVC coils rated at 1.8 ohms and comes with a second one for use with nicotine salts e-liquids. The Aspire Nautilus AIO coil uses about the most famous and popular Nautilus BVC coil and also utilises nichrome wire. The Aspire Nautilus AIO comes supplied with two coils both rated at 1.8 ohms, one for regular e-liquid and one for use with nicotine salts, though it works equally well with normal e-liquid. The Aspire Nautilus AIO pod is an easy to use bottom fill design, using a simple but effective silicone plug in the base of the pod, with a generous 4.6mm filling hole to suit all types of e-liquid bottles. Regardless of which coil type you use, the standard Nautilus BVC or nic-salts Nautilus BVC are both easy to install. Simply squeeze the side buttons on the device, then remove the pod and turn it upside down, remove the chimney unit and screw in your chosen coil. Replace the chimney unit with attached coil and reinsert into the pod. Push the pod back into the Aspire Nautilus AIO until it clicks. Refilling the pod is very easy. Remove the pod from the device by squeezing the two side buttons, invert and remove the silicone plug from the fill hole. 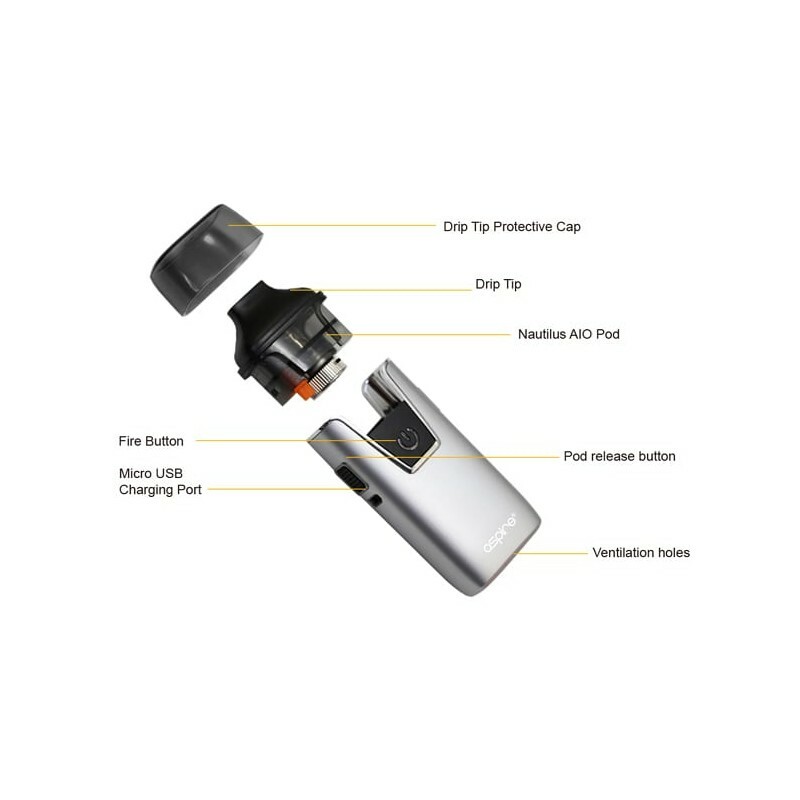 Fill the pod with e-liquid, replace the silicone plug securely and refit the pod into the device by pushing down until it clicks into place. 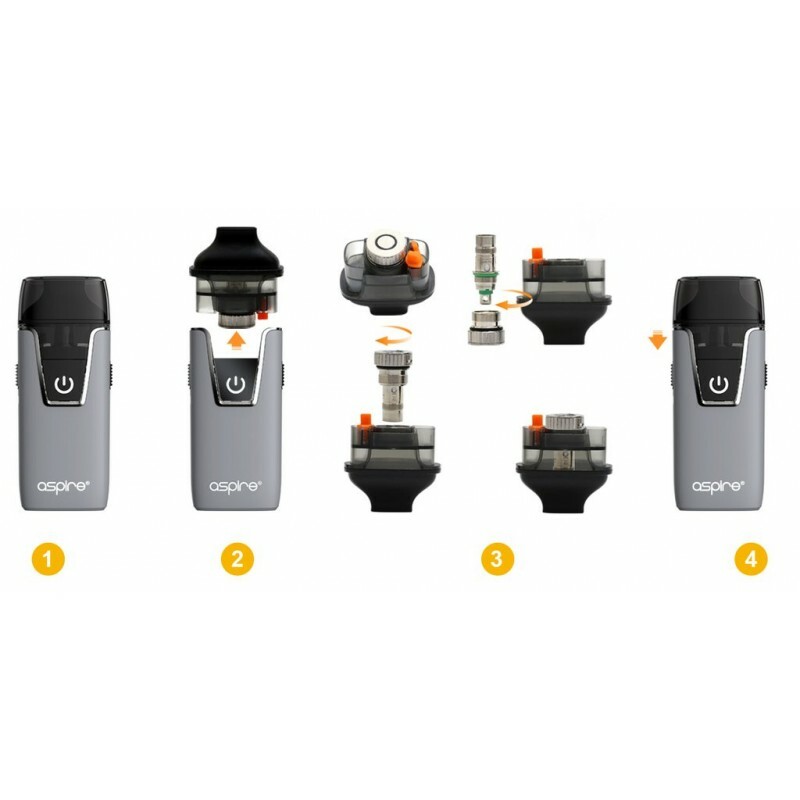 Charging the Aspire Nautilus AIO is also very simple. Simply plug in the supplied micro usb cable into the side of the mod, attach the other end to a suitable power supply to charge. The maximum charge current can reach up to 1A. When attached to the usb with the power on the LEDs will flash blue and orange three times, when fully charges the LEDs will flash blue and orange twenty times then remain off. Main Device / Battery: 60 Days. We want you to be satisfied with all products we sell at ezSmoke. Should you encounter any issues, please get in touch.